Urban Retreat Beautique Utterly Luxury Gift With Purchase! 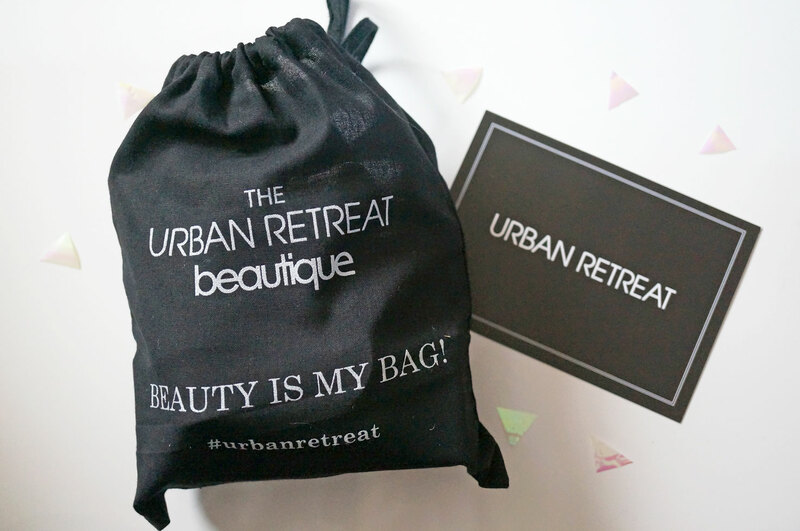 I’m so excited to share with you an amazing gift with purchase offer from Urban Retreat Beatuique! Urban Retreat Beautique sell amazing premium brands including Laura Mercier, NARS, Creme De La Mer, Sisley, Hourglass and Shu Uemura. They’re offering the above fabric gift bag stuffed with eleven premium brand beauty items all for FREE! You will need to spend £150 to claim the offer though – I know this is a lot of money but you could get a whole load of Christmas shopping done for that amount (and maybe something for yourself?) and come home with this amazing beauty goodie bag worth over £110! I’m already a massive fan of NARS, Moroccanoil and Glamglow, so I’m really pleased these products are included in the set. I must admit though, I haven’t heard of some of the other brands, but I don’t actually think that’s a bad thing. 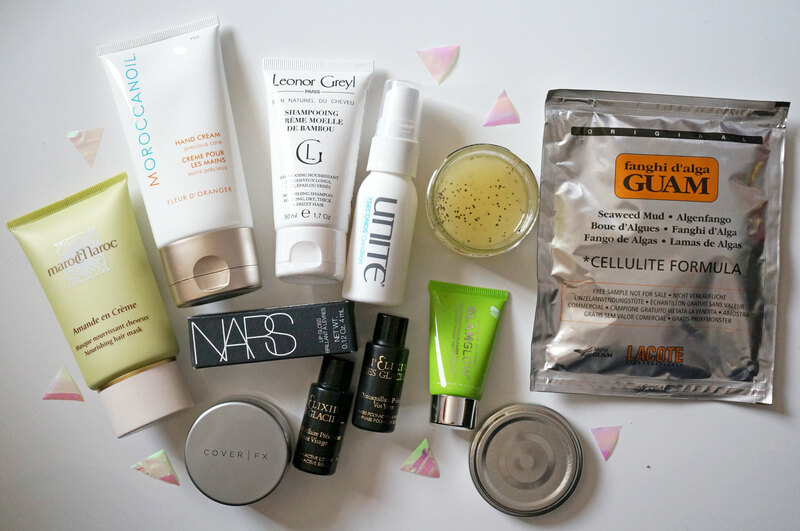 I love nothing more than discovering new products, and if like me you may not have heard of some of these names, this is the perfect excuse to try them out! So far I’ve tried the Thalgo Body Scrub – it contains Bora Bora sands, sea salt, coconut shell and mono and jojoba oils. It smells divine, like I’d imagine an exotic island in fact, and left my skin amazing smooth and supple. This definitely gets a big thumbs up from me! Also the marocMaroc Nourishing Hair Mask should get a mention too, this is a super luxurious mask which is fantastic for reviving tired and lacklustre hair (like mine!) It contains almond milk and argan oil to leave hair feeling soft and silky. I’m looking forward to trying out the rest of the products as they all sound fantastic, I’d love to hear if you’ve tried any of them and what you think? The Utterly Luxury gift with purchase will be available from 28th November from Urban Retreat Beautique and has limited availability, so grab one while you can! Next Post My Big Christmas Giveaway!